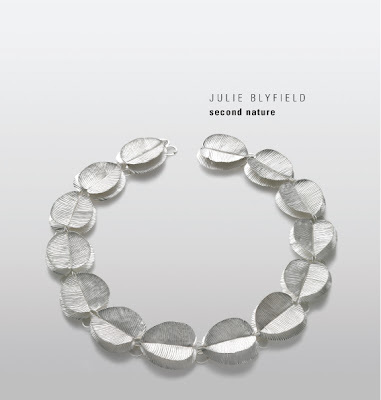 Coming up: Second Nature, works by Julie Blyfield, at Gallery Funaki. The exhibition runs from 5 February - 2 March. 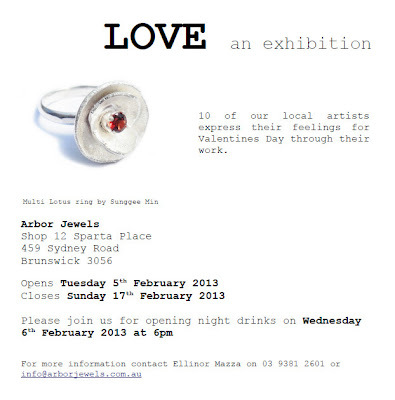 Arbor Jewels is also holding what I believe is its first ever exhibition: Love, 10 artists' response to Valentine's Day. 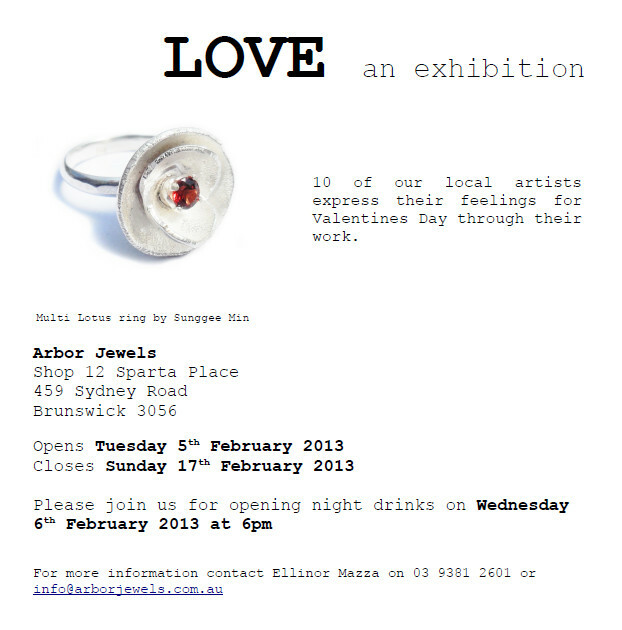 Love also opens on 5 February with opening drinks on Wednesday the 6th from 6pm. The exhibition runs until 17 February.